hand thrown. currently obsessed. cradle to grave. Lately, I have been obsessed with hand thrown ceramics. I search for them at junk shops and fleas. Every once in a while I come up with a beauty that was lovingly made in the 60's or 70's. It makes me happy to know that it has been used previously and has had a whole other life of it's own. I just returned from a trip to Amsterdam where I saw an old friend and we talked about the idea of "cradle to grave" which is essentially the life cycle of any given thing. In the case of our conversation, it related to products and social responsibility, this is something we think about a lot in our family. When we buy or consume we like to know that what we are buying is something of value and that it will live on beyond us and have that same sort of continuous life cycle. I feel this way about the ceramics of Kasper Würtz. They have a sense of purpose and a utilitarian beauty. 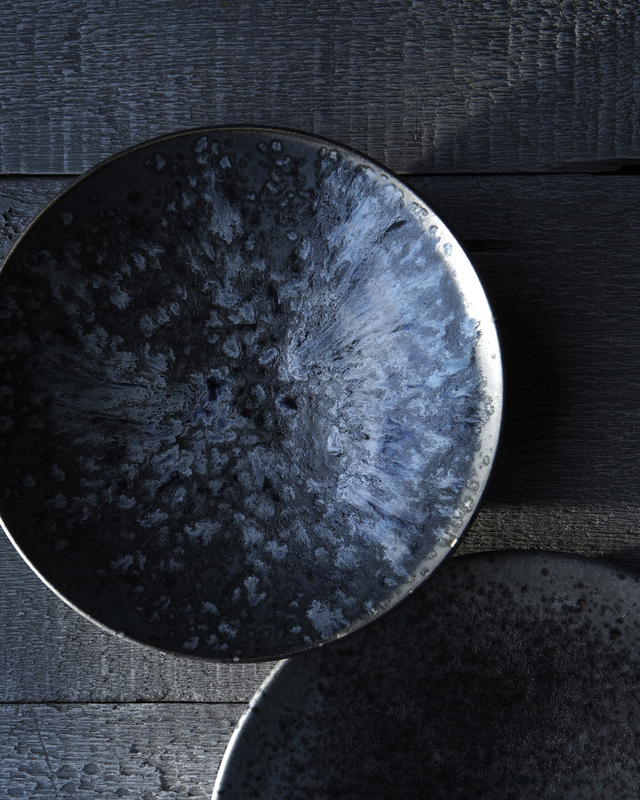 Like most hand thrown pieces, Kasper"s ceramics carry the feeling of the maker. Each piece is unique like those one of a kinds I search for at the flea market. Here are a few photos of his gorgeous ceramics. I will post some of my other favorite makers in this section called currently obsessed in the next few weeks. These ceramics are available from a shop in London. The below table is from Ochre and the base is cast of one piece of bronze. Styled by the beautiful and talented Angharad Bailey.